The easiest 4000 completely on Italian terrain. You need to pass through some easy sections of rock in order to reach the statue of the Madonna, which stands on the summit. 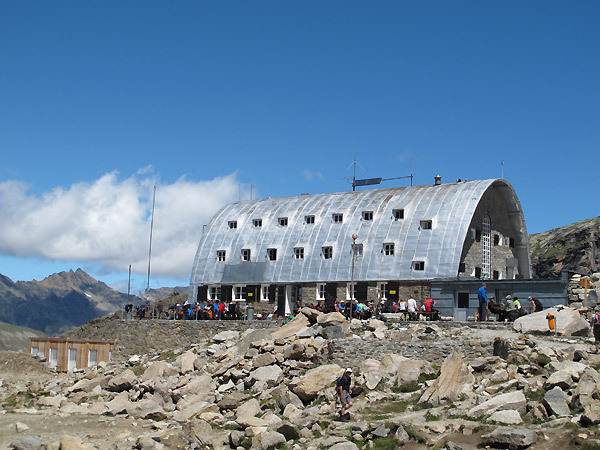 1st day: Approach to the Vittorio Emanuele Hut 2735 m or to the Chabod Hut 2750 m and accommodation at the hut. Average time expected to reach the hut: 2.30/3.00 hours. 2nd day: Ascend of the Gran Paradiso. 6/10 hours ascend/descend including return to car. 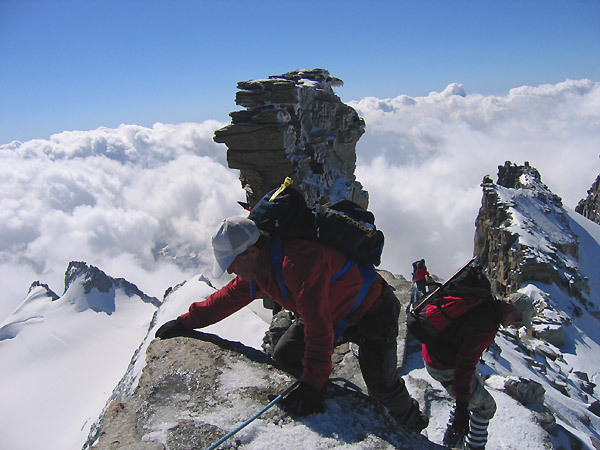 The Gran Paradiso is the most fascinating and ambitious destination of the Valsavaranche, presenting one of the 4 giants of the Aosta valley next to M. Bianco, M. Rosa and Cervino. It was climbed the first time 1860 by the English Cowell and Dundas; In 1887 the route was climbed by Achille Ratti, the later Pio XI. In 1930 the abbot Henry, priest, student and alpinist, reached the mountain taking with him the donkey Cagliostro.